It is a fact that millions more people have gained a view of medieval sieges by watching Game of Thrones than by reading books by experts or learning history at school, so it is worth asking: how true a picture does the blockbuster series give? Across the seven series so far, we have seen many bloody captures of strongly fortified cities and castles by large armies of armoured warriors, supported by archers and fleets of ships. The attack on King’s Landing (series 2, ep. 9) provided some realistic glimpses: the preparations of the citizens and garrison for battle, the taking refuge in the keep of women and children – and the exemplary execution of attendants who tried to flee. The ominous clanging of the bells gave warning of assault heralded by banging drums and the landing and drawing up of the attacking army, the bringing up of a large battering ram to batter down the main gate while scaling ladders were prepared. As everyone knows, the city was saved when the dwarf prince Tyrion inspired his men by appealing to their commitment to their families and homes to launch a sally via a postern gate which took the besiegers in the flank, and, accompanied by the timely arrival of a relieving army, saved King’s Landing. Prior to this, the invading fleet had been consumed by the launch of the lethal ‘wildfire’ via a fireship. Bronn lighting the wildfire with a flaming arrow. Image ©HBO. Was ‘wild fire’ inspired by the famous ‘Greek Fire’? The real ignis graecus (mentioned in numerous Latin chronicles) was invented by Byzantine engineer Kallinikos and used to save Constantinople from Arab attack in 672 AD: its exact constituents remain unknown to this day but like ‘wild fire’, it could not be extinguished by water (hence its main use at close range against enemy ships), and among its secrets was the means of propulsion – possibly by siphon mounted on the front of ships, or on castle towers. The original formula was lost but incendiary devices continued in use, especially during the crusader period, using plentiful supplies of oil. But never again were they so decisive. 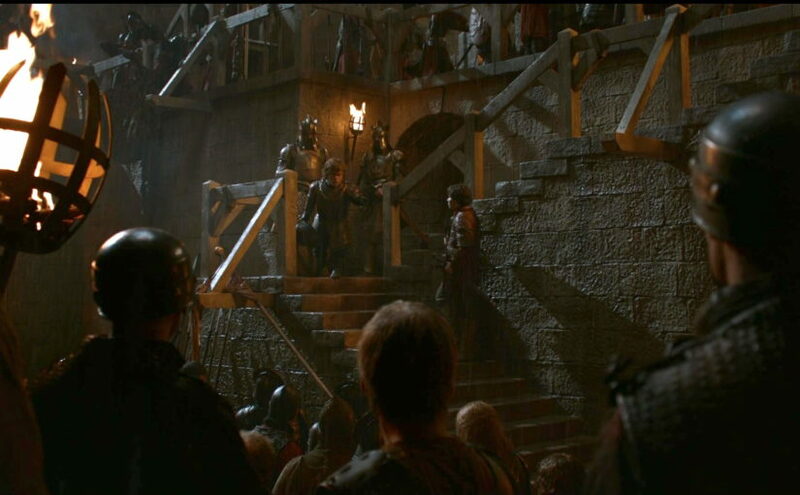 Other regular features of medieval sieges appear in GoT. The threat of hanging hostages in view of the occupants if they did not surrender, shown in the siege of Riverrun (ser. 6, ep. 7–8), maybe echoed the threat of King Stephen to kill the child who became the ‘greatest knight’, William the Marshal, if his father did not surrender Newbury (1152): in both cases the putative victims were reprieved. In other respects too a realistic scenario is painted: the besiegers erecting defences to protect their rear, building siege towers and stone throwing trebuchets, and setting camp in a vast array of pavilions flying numerous banners; defenders gathering sheaves of arrows and relying heavily on crossbows which, used from behind stone walls, could be devastating. The siege of Riverrun. Image ©HBO. Riverrun yielded. At other times, the attackers avoided the risk of an assault by exploiting tunnels to enter – Tyrion and Daenerys captured Castly Rock (ser. 7, ep.3) through the sewers. In 1204, King Philip Augustus’ army stormed the middle bailey of Richard the Lionheart’s ‘impregnable’ Château Gaillard in Normandy when one of his men discovered a drain outlet in the ditch that led him up into the chapel. GoT skates over many realities of medieval warfare, particularly questions of logistics. The siege weapons materialise from nowhere when in reality they needed time for construction. All are settled quickly, whereas most medieval sieges lasted a long time, and hunger and disease killed far more people than fighting. However, many episodes convey brilliantly the drama, the sheer terror, and the brutal horror of combat. So we should recognise GoT as brilliant drama rather than history, and look elsewhere for accounts of real medieval warfare. But while we’re about it, we can only imagine what a medieval general would have given for the three fire-breathing dragons Queen Daenerys unleashed at Meereen (ser. 7, ep. 9). Dr Peter Purton (author of History of the Early Medieval Siege and History of the Late Medieval Siege (Boydell Press 2010). Are fantasy castles real fighters? This post was written by David C. Weinczok. For many people not fortunate enough to grow up with a castle in their proverbial backyard (like me), books, video games, films and television shows are the first places they will encounter castles. Such images often stay with people for life and inform their view of what the medieval world would have looked like. I see this as an asset for historians and heritage professionals rather than a hindrance – sure, pop culture doesn’t have a great track record with getting the historical details right, but if it sparks an interest in castles where one might never have arisen that, to me, can only be a good thing. I’m using the world of fantasy and fictional castles as way to discuss the real deal in a talk for Previously…Scotland’s History Festival on Nov.19th in Edinburgh. My aim is to put the defences of famous fictional castles to the test – would, for instance, Mickey be able to withstand a siege if he holed up in the Disney castle? 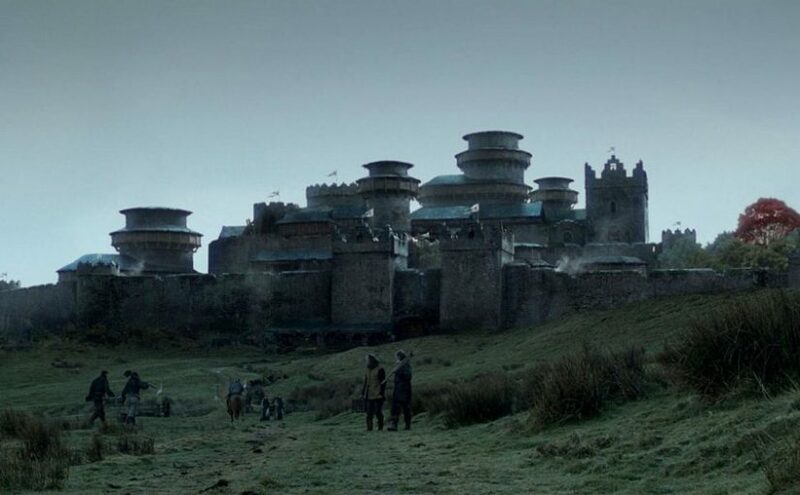 Do the fortresses of Game of Thrones actually make sense or are they all show? 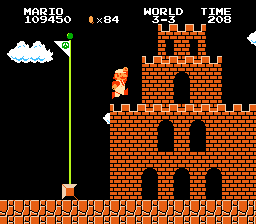 How hard would it be to rescue a princess from the Super Mario castles? To find out, I’m applying several criteria to each that can just as easily be used to assess the battle-readiness of real castles. For instance, are their turrets, crenels and wall-walks actually capable of bolstering their defence, or are they in fact just for aesthetic flair? Is their architecture specifically tailored to the demands of their environments? Are there multiple layers of defence, or do all hopes rest on a single strongpoint? 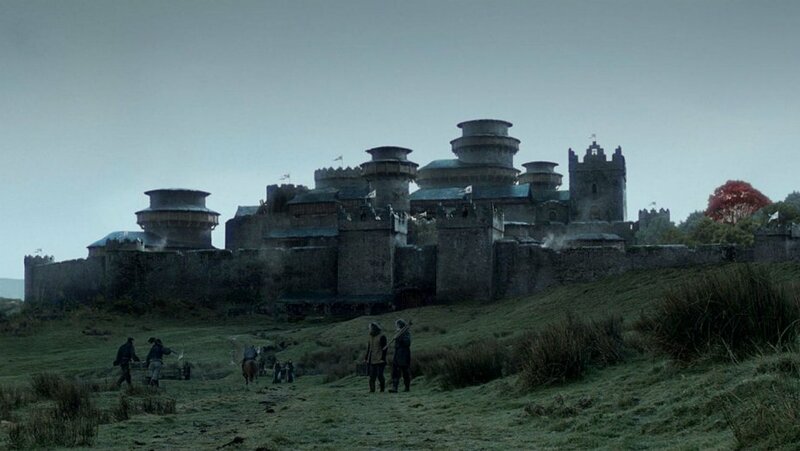 Let’s take Game of Thrones’ Winterfell as an example. I hate to challenge the might of a castle that has famously been untaken for ‘thousands of years’, but for that to be the case they can’t have had a single decent winter in millennia. Take a look at many of the tower roofs in the image below. Notice anything peculiar about their design? That’s right – a castle specifically designed to resists winter employs flat roofs on many of its towers. Why is this a problem? Because those roofs need to bear weight, and accumulated snow is immensely heavy. So, unless the towers are upheld by some ancient magic, their roofs will come crashing down with the first heavy snowfall. Perhaps the name ‘Winterfell’ is actually an architect’s very reasonable warning about the weather! The first castles I probably saw outside of Alan Lee’s illustrated version of The Lord of the Rings were the castles in the original Super Mario. Now, I know they weren’t designed to be overly scrutinised by nitpickers like me and the graphical limitations of early 1990s video games meant simplicity was key. But let’s take a look. Credit where credit is due for having functional wall walks with crenellations and merlons that are actually high enough to fully shelter an archer. But we really need to talk about those windows. As a general rule of thumb, more windows means less defensive capability, and the larger the window the further that defence is compromised. The windows on Super Mario’s castles are clearly exaggerated, but it’s not hard to find real-life parallels. Take one of Scotland’s most famous castles, Kilchurn on the banks of Loch Awe. Often thought of by visitors as an impregnable fortress, its western face leaves much to be desired. 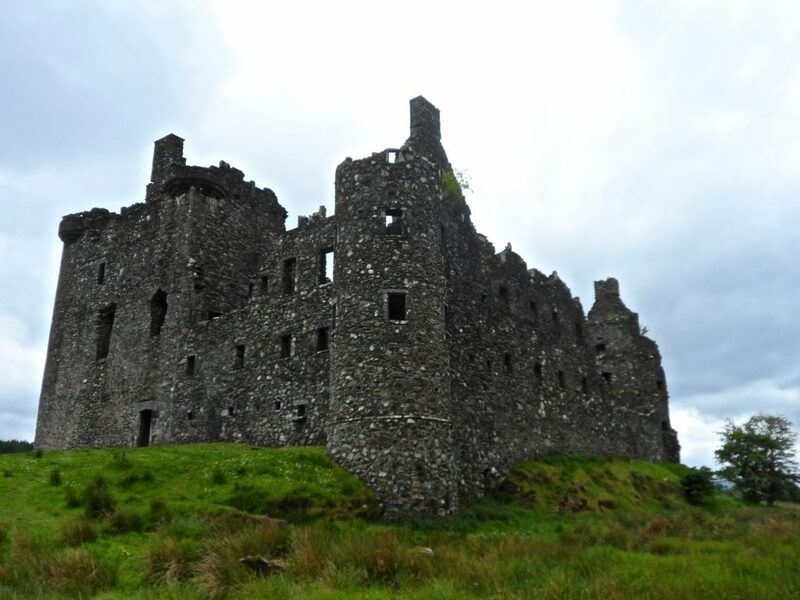 Kilchurn was never, in fact, a true fighting fortress but more of a domestic seat with castellated features. No stronghold hoping to stand against a determined foe would dare give them so many openings through which to fire and breach. These are just a few examples of what I’ll be discussing, and there will be some surprising winners as well as losers out of it. It is my hope that talks like this will get people who have already been exposed to castles through pop culture to think more critically about them, all while having a bit of fun. David is a writer, presenter, and castle hunter, and you can find more from him on Twitter, Instagram, and his website. Posted on 19 November 2017 31 October 2018 Author David C. WeinczokCategories archaeogaming, fantasy, Guest post, ScotlandTags Kilchurn, Mario, WinterfellLeave a comment on Are fantasy castles real fighters?